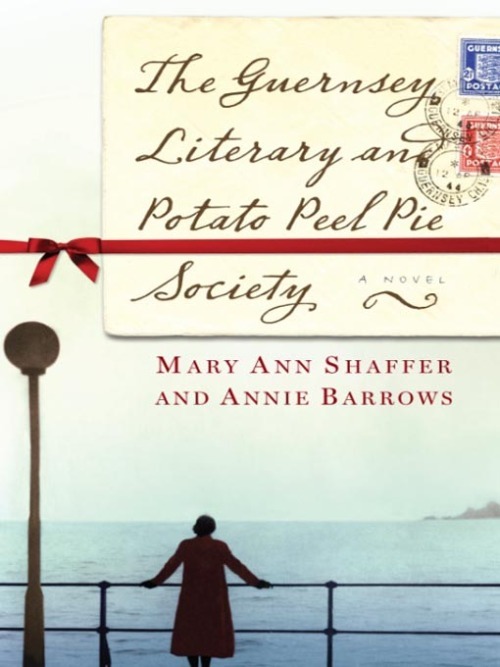 One of my goals for 2013 is to read a book just for fun every month, and for January, I picked The Guernsey Literary and Potato Peel Pie Society, by Mary Ann Shaffer and Annie Barrows, on the recommendation of a lovely Tumblr follower. The name of the book was both amusing and intriguing, but I was a little skeptical when I opened it up (electronically, as it were) to discover that it was written in the form of correspondence. Once I got into it, though, I ended up loving both the form and the novel itself. The book is about a society formed out of necessity during the German occupation of Guernsey during the Second World War and an author who is attempting to write about their experiences. I loved the way the letters allowed the characters to develop in a way that did not seem contrived at all. Some of the things that came up over the course of the correspondence between the characters were rather shocking, but they seemed to be almost natural revelations because of the way the letters had been set up. I very much enjoyed the book, and the letters made it easy to read in snippets when I had time- a letter while I was printing a paper, two while waiting for something to load on my computer, three just before bed. I would absolutely recommend the book; it was a quick read, but it was truly enjoyable. My pick for February is Is It Just Me?, an autobiography by the hilarious British comedienne, Miranda Hart. I can't wait to get started! Do you have any book recommendations? I still have ten more to go, and I'd love to hear!